October’s here, and I would therefore like to invite you all to the sixth edition of our monthly Akira Kurosawa Online Film Club. This month, we will be facing what is probably our most challenging task yet: Red Beard (Akahige). The movie, released in 1965 after two years of production, is based on Shūgorō Yamamoto’s novel Akahige shinryotan, while Fyodor Dostoevsky’s work The Insulted and the Injured provides the source for one of the sub-plots. It would perhaps be difficult to overestimate the influence that these two writers had on Kurosawa’s work, not only in Red Beard but throughout the director’s career. While Dostoevsky provided a direct source for just one Kurosawa movie (The Idiot), the influence of his thinking can be felt looming over all of Kurosawa’s work. Yamamoto’s influence was, meanwhile, more direct — six screenplays with Kurosawa’s involvement were based on his work, with Kurosawa himself filming three (Sanjuro, Red Beard and Dodesukaden), while the other three have been filmed by others after Kurosawa’s death (After the Rain, Dora-heita, The Sea is Watching). Red Beard was also famously the last film where Kurosawa used Toshirō Mifune, his leading man of almost twenty years. While many possible explanations have been given as for why Kurosawa and Mifune never worked together after Red Beard, with the stress that the film’s lengthy production time put on their relationship often suggested, the issue nevertheless still remains something of a mystery. 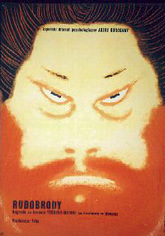 At the time of its release, Red Beard was a huge commercial hit in Japan, and Japanese critics hailed the movie as Kurosawa’s magnum opus. According to Galbraith, the reception in the west, particularly the US, was very different. It was not only a tough sell for Toho, but the majority of American critics found the movie too slow and empty of content. Today, Red Beard in the west is still often left unnoticed under the towering shadow of Kurosawa’s earlier masterpieces and his late epics. In Japan, meanwhile, it continues to be among his most celebrated works, and in fact most people that I have talked to in Japan seem to consider it their favourite. What I find most interesting, is the side effects of a director that has so mastered his art, that no flaws exist in his work. Red Beard’s perfection, and surgical precision, comes at a great cost; a film so sterile it lacks the warm blood that carries the epinephrine that gives off the thrill of watching a Kurosawa. That’s interesting, Jeremy – even after 3 viewings, the scene with the women shouting “Chobo!” down the well still gives me chills and brings tears to my eyes. I find ‘Red Beard’ to be a visually stunning yet deeply moving film; I could name any number of scenes that are quite affecting to me. I also find the film deeply affecting. As Andrew says, the well scene is unforgettable, with the women calling Chobo’s soul back to the living, as is the whole Little Nell subplot. I too have many scenes that come to mind that still effect me after 7 or so view times. Visually this movie is near perfection, and Kurosawa stated his willingness to undergo any hardship to ensure no detail was overlooked. And on that he succeed, to the degree I would argue, he succeed too well, making a movie too good. Now even I feel stupid saying a movie is too good, but still I contend there is some lack of personality. I dont believe I can really describe or even make sense of it to myself-but there you have it. Such perfection can only be done by a master, so this is no way is intended to discredit the film or Kurosawa. But, if there is such thing of a master being too masterful, I would say this film is prime example. Jeremy: Now even I feel stupid saying a movie is too good, but still I contend there is some lack of personality. I dont believe I can really describe or even make sense of it to myself-but there you have it. It sounds like what you are talking about here is something that we could refer to as the “Persian carpet problem” (not that I have ever heard anyone refer to it in this way). In many cultures, it is said, artistic perfection is deliberately avoided, with Persian rug makers leaving a knot untied and Navajo blanket makers introducing a flaw to their weaving pattern on purpose. The reasons given for this are on the surface culture-bound, with the Persians saying that nothing should be allowed to reflect God’s perfection, while the Navajo reasoning that the flaw will allow the spirit of the blanket freedom and therefore make it infinite, rather than being confined. But I would personally suggest the real reason to be that artistic perfection is, as Jeremy wrote, somewhat sterile. I personally cannot help thinking about the works of Stanley Kubrick here (which I love, but find very cold). I am no art historian, but it also seems to me that whenever a culture devices the means to create something very real or “life-like”, its artists soon abandon that style and go on to create something that is in some ways less realistic, but what in the end comes across as infinitely more interesting to us. I think that it happened for example in Greek sculpture where realistic proportions were abandoned fairly soon after the artisans had finally perfected them, while in western painting we see something very similar happening in the 19th century, with impressionism rising to counter what had become almost photo-realistic painting. As for Red Beard, I am not entirely sure if I agree with it being “too perfect”. I’ll think about this as I watch the film — which I hope to do today. The need for flaws in art reminds me of a great line by Leonard Cohen: “There is a crack in everything / That’s how the light gets in”. But getting back to Kurosawa, I also don’t agree that Red Beard is too perfect. In fact, I’m not sure I agree in any case that any kind of art can ever approach perfection. What is perfection in any case, and how do we measure it? If such a thing can be strived for, it certainly doesn’t have anything to do with realism or mimesis. When critics sometimes talk about films being too perfect, say Kubrick for instance, I think it’s more a case of their being too calculated and therefore sterile. Anyway, perhaps I have a problem with the use of the word perfect. Red Beard is for me one of Kurosawa’s greatest works, an intensely moving film, and the only Kurosawa film my elderly mother actually enjoyed (though I admit she used to like Doctor Kildare). Hey, I just played Cohen’s The Future the other day. It was the same day when I finally started to appreciate Dear Heather as an album. Anyway. As planned, I watched Red Beard yesterday and I must say that I don’t really share Jeremy’s view of the movie. In fact, I had almost forgotten how marvellous a work it is! I was, in a good way, both physically and emotionally completely exhausted by the end of it, even if in terms of its duration the three hours had felt more like just an hour and half. I do, however, have some possible answers to why Jeremy feels the movie to lack personality or to be “too masterful”. I will explore those in a future post once I get my thoughts and notes sorted out. And to the movie – slightly embarrassed to admit I hadn’t seen it before! Was slightly put off by some of the synopses I’d read. I watched it in two parts over the last two evenings. First reaction is to be quite overwhelmed by it – amazing scenes, wonderful story! Already catapulted up to my list of favourite movies. But I can see why many people see it as the start of a decline or as somewhat disappointing. I can understand why critics have argued that the core story is somewhat didactic and morally simplistic. I disagree, but it’ll take me a few days I think to clarify in my own head the reasons. But my first thought is that the core of the story is not, as many people assume, the relationship between the two doctors. The central narrative arc in my view is of the young doctor and his relationship to women. First, he is rejected by his fiance. Then he is nearly killed by the insane woman. After which he is ‘saved’ mentally and physically by a young girl. And finally he is accepted and brought to happiness by his bride. But enough of that line of thought for now. What this movie confirms for me in a general sense about Kurosawa is a point I made in the tread on ‘reasons for liking or disliking Kurosawa’. I think Kurosawa is the most generous of directors, because his movies always strike me as being made for the audience. By which I mean, he never (or at least rarely) planned his movies as a ‘personal artistic statement’, or a ‘money making, crowd pleasing entertainment’, or even as ‘Oscar bait’. He made his movies to communicate his ideas, his inner conflicts and his sheer love of cinema to his audience. 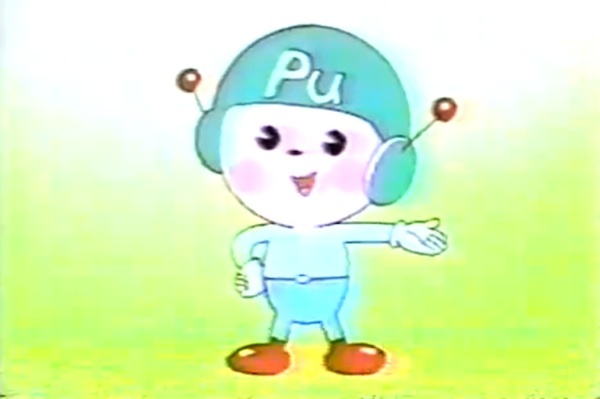 Thats why I would reiterate that I do not think any of Kurosawas early movies can be understood without reference to the contemporary young Japanese audience. Having regard to some of the quotes in Richie, I think Kurosawa quite delibrately set out in Red Beard to push all the audiences buttons – to make them cry, laugh, gasp in amazement and have the bejasus scared out of them. But one negative thing – nothing to do with Kurosawa, but with the BFI. I find the ‘introduction’ by Alex Cox to his movies to be almost an insult to the viewer. The general overview given on all the BFI editions I’ve seen has Cox giving a very simplistic overview of Kurosawas life and work – sort of a ‘I had a quick glance at Wikipedia before doing this’ sort of conversation to camera. He also includes some comments that are highly dubious – stating for example that John Ford is the major influence on Kurosawa (he is obviously an influence, but I doubt if many modern critics would see him as the most important one). But worst of all are the specific comments on the films. For Sanjuro he actually gives away the ending – in the introduction to the movie! For Red Beard, I doubt if he actually watched it before making his comments. He praises the sound effects in the fight scene (wow, deep analysis that is), then he castigates Kurosawa for his sexism in his films. He does it by saying that in the movie ‘all the patients are women, all are rescued by the male doctors’. He even says that from the film ‘only women seemed to get sick in medieval Japan’. This despite the fact that the film clearly shows the male and female wards, and of the six patients who are clearly delineated in character, four are male! (the two older men who die in the first half, the corpulant Lord, and the boy in the final part). There is surely an argument that Kurosawa was sexist (I don’t agree, but I acknowledge the argument), but Cox’s points are simply poor quality undergrad stuff, i can’t understand how the BFI allowed this to be added to their dvd. Indeed, the Cox introductions are a little bit notorious in that way. I’ve only seen a few, but they do seem something of a hit or miss affair, perhaps tending to the side of misses. From what you wrote, the Red Beard intro certainly sounds like a miss. I totally agree with your view of Kurosawa as someone making movies for his audiences, and not so much for himself or film critics. And this is something that also I find extraordinary in his work. I also understand your wish to understand the films as they were seen by contemporary Japanese audiences, although (as I have noted previously) I don’t personally see it as a prerequisite for enjoying or discussing the films, but rather as just one possible angle of interpretation (one with historical and biographical aspects to it).